For a very long time, the Xbox 360's indie marketplace has been something of a wild west for small game developers, a place where it's nearly impossible for a good game to stand out. Apparently it's nearly impossible to get paid on time, too. This afternoon, a Destructoid community member put up a blog alleging that game-makers who put their products on the Xbox Live Indie Game (XBLIG) marketplace on Xbox 360 still haven't been paid the quarterly payments that were due in mid-November. Shortly afterwards, a few indie developers posted on the forum NeoGAF that they, too, hadn't been paid, three weeks after the deadline. One developer who has published several games on XBLIG told Kotaku that this is an ongoing problem. 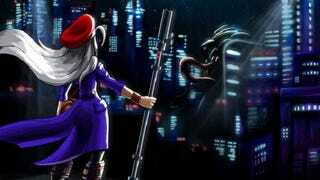 "In general, XBLIG payments haven't been very reliable," said Robert Boyd, a longtime RPG developer who is currently working on a sci-fi role-playing game called Cosmic Star Heroine (pictured above). Boyd, who runs a small company called Zeboyd Games with his partner Bill Stiernberg, published their first two games, Breath of Death VII: The Beginning and Cthulhu Saves the World, on the Xbox 360's indie marketplace. Over the years, small game developers have criticized the XBLIG for various reasons, and many have noted that it's been difficult to find success on the less-visible marketplace—as opposed to the 360's Xbox Live Arcade, which is far more prominent and better supported. Microsoft discarded the XBLIG program for its newest console, the Xbox One, opting instead to merge indies and other digital games into one big storefront. But there are still small game developers using and collecting revenue from the 360's indie marketplace, even as its popularity has waned. And it's still full of issues, developers say. "There have been large stretches where sales reporting has been down. Normally, developers can check on their day to day sales," Boyd said. "There have been some instances where there's been weeks where no new sales data appears." Indie developers who participate in Microsoft's XBLIG service are paid four times a year, Boyd says, and they're supposed to be paid within a 45-day window after the end of each quarter. In this particular case, since the third quarter ended September 30, XBLIG developers should have been paid by November 14. Boyd says Microsoft has been late on payments before, often by "a couple days," but that this case is particularly unusual. He told me he couldn't remember if they'd missed payments by this many weeks before. "[This is] definitely one of the longest," he said. We reached out to Microsoft for comment and will update should they respond. "Our XBLIG revenue at this point is pretty minor," Boyd said. "So it's an annoyance but it's not like it's making us miss rent." Due to a technical issue in our system, we recently learned that some payments to select developers in the Xbox Live Indie Games program on Xbox 360 were delayed. Our partners are important to us and we work hard to help make sure they have a great development experience. This was an unfortunate error and we are working hard to fix it. We apologize for this incident and anticipate developers will receive payments within the next two weeks.